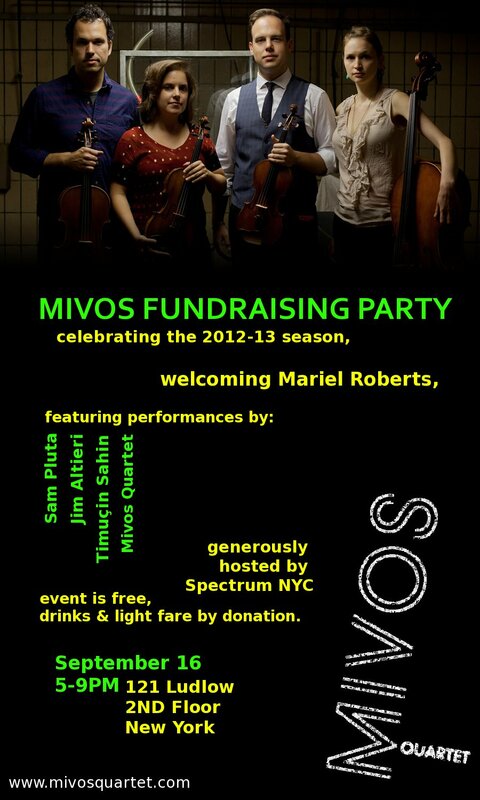 Please join us today to celebrate the 2012-13 season and to officially welcome Mivos’ cellist, Mariel Roberts! 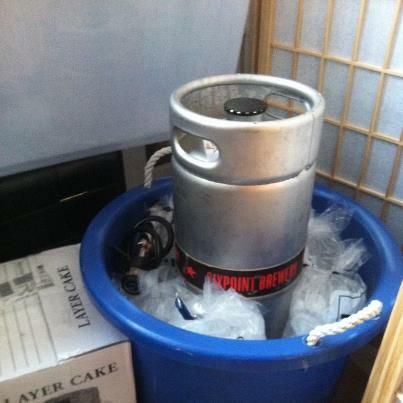 There will be drinks by donation (Sixpoint beer, wine) and light snacks, plus live music. In addition to a short performance by Mivos, we are fortunate to have some wonderful guests. Sam Pluta & Jim Altieri will perform their searing duo music for violin and electronics (as heard on their excellent Carrier Records release, Sum and Difference), and Timucin Sahin will perform a solo on his trademark double-neck electric guitar. Thanks to Spectrum NYC for generously hosting the event. Check us out on Facebook to RSVP. ← Mivos Fundraising Party on Sunday!